This past weekend, I attended my first weightlifting meet. It is being held at the Westgate Las Vegas Resort & Casino. The last day of the four-day meet is today, September 16th. The USA Weightlifting American Open “powered by Rogue fitness” had 1651 competitors, men and women, and that number set a Guinness World Record as the largest Olympic weightlifting competition ever. Incidentally, more women than men were registered. Because my late husband’s brother’s wife’s daughter, Corinne Grotenhuis, told me so. I hadn’t seen Corinne since leaving the Chicagoland area, but I know Corinne has been a weightlifter all of her life. At this meet, she was not competing, but serving as Competition Secretary. She called a couple weeks ago and said she was coming to town, but would be so busy, she couldn’t take time out to see me, but if I wanted to come to the meet, we could talk and she’d show me the ropes. Women outnumbered men at the weightlifting meet. 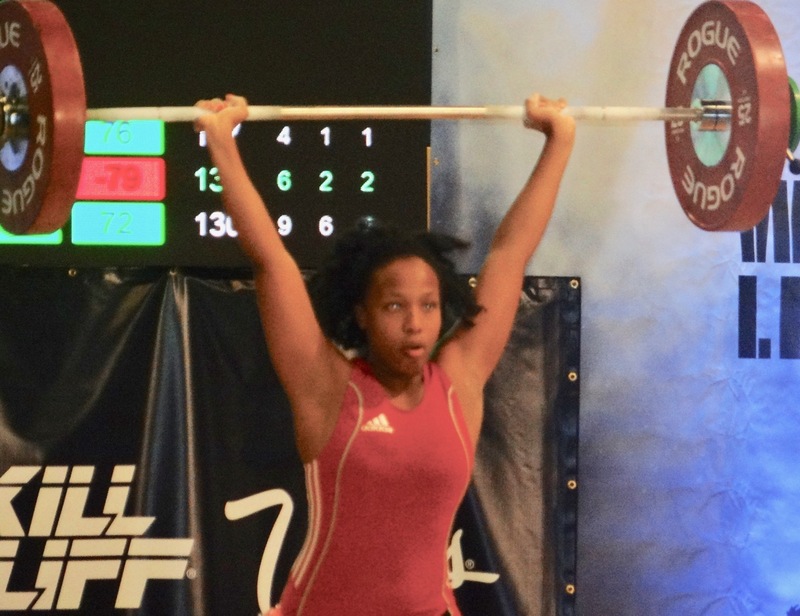 Corinne also noted that while most of the weightlifters I will see are relatively young, weightlifters come in all ages, from 8 to 80 and then some. Corinne is recovering from hip surgery so is just now getting back into training; when she is ready, she will again compete in the “over 35” age category. Corinne’s job, when I met with her, was to supervise competitor weigh-ins. Competitors must meet weight standards for their weight class, and if they do, they get four entry cards, one for the competitor, and three for the coaches or friends who will set the weights for the competitor. So what is the appeal of weightlifting? Fitness, of course, but also training toward a goal, traveling to meets AND making friends among the weightlifting community. The video included with this story is short, but gives a brief view of the USA Weightlifting event. Las Vegas Event Meet Results. You always find such interesting things to write about. The Westgate convention personnel can’t be happy about all those weights being dropped on the concrete floor…mats or no mats. They aren’t dropping the weights on the floor — that is a staging area that was constructed for those weights. It has an elastic-rating making it easier for the weightlifters to balance the load.